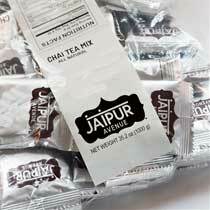 As diverse as the colors of India are, so are the flavors of Indian chai. 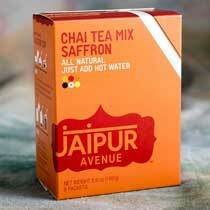 Jaipur Avenue has formulated their chai tea mixes in six delectable flavors, with tones ranging from spicy to floral – each with a unique flavor profile that can be enjoyed on its own or paired with savories and desserts. 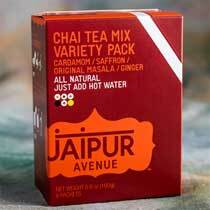 According to Ayurveda—the ancient Indian system of natural healing—the various aromatic spices we use in our chai are also rich in antioxidants and offer a range of health benefits. Pick the one that's right for you. 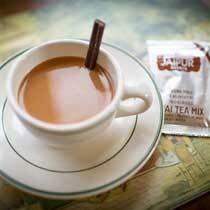 Chai tea has recently become very popular - with every coffee shop and starbucks offering what they can find or make themselves. But, it's nearly impossible to find that authentic Indian chai flavor outside of India. 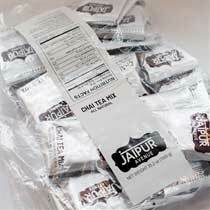 Most of the chai available today are either super sweet (like, make your teeth ache sweet! 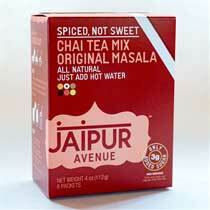 ), too spicy (like, who likes all that clove in their chai, spicy! 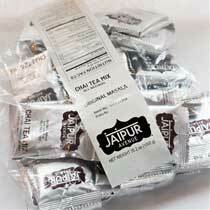 ), or not enough umph to have any flavor at all above the steamed milk (where is the spice?!). 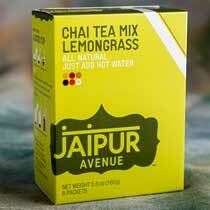 While ideally we would all brew fresh chai from scratch, it is not an easy task to accomplish away from home or at the office. 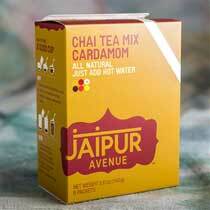 The idea for Jaipur Avenue was born to fix this chai "problem" once and for all - with an all-natural, real milk, instant chai that tastes just as good as the freshly brewed homemade kind... Really! 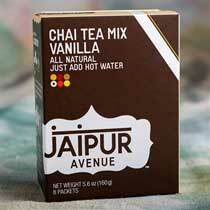 If you are seaching for the perfect, instant chai mix, you have now found it. 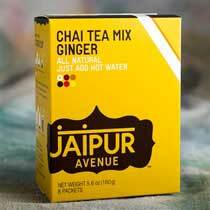 But be careful, Jaipur Avenue Chai is VERY addictive. Luckily, you can take it everywhere you go ... and you will!